Traders and investors watch for market signals to time their entries and exits. Which government economic reports are the most relevant to the stock market? Surprises in any one of these indicators have the potential to impact short-term stock prices. But how useful are they to traders and investors over the longer haul? Let’s examine the merits of each of the “big five” and score them for relevance as short-term and longer-term stock market indicators. We’ll grade them from “A” (important) to “F” (irrelevant). One of the most popular economic indicators tracked by the financial media is the Bureau of Labor Statistics (BLS) non-farm payrolls, new jobs, and unemployment rate report, published on the first Friday of every month. Big surprises, whether positive or negative, have the potential to move stock prices in the very short term. But how useful an indicator is unemployment for generating buy and sell signals? From a glance at Figure 1, we can see two challenges. First, unemployment tends to lag stock prices. The second challenge isn’t as obvious. The unemployment rate is the result of many revisions—some of which happen a year or more after the fact. In other words, this information was not available to the average retail trader (you) at the time. How important is this factor? Just before stock prices collapsed in September 2007, the BLS reported that 110,000 new jobs were created. However, they ultimately reported many months later than only 44,000 jobs were actually generated—a difference of 60 % from the initial report! They later learned and reported that November jobs were also originally reported as 36 % higher than reality. For 2008, after the BLS reported that 1,882,000 non-farm jobs were lost, we later learned (well into 2009) that the number was actually 2,759,000—a difference of 47% from the original report. If investors have no idea whether the data will be revised (or by how much), what is its value at the time? Unlike the initial reports, revisions are not widely followed. So although revisions can significantly change the overall picture, they generally have little impact on stock prices. 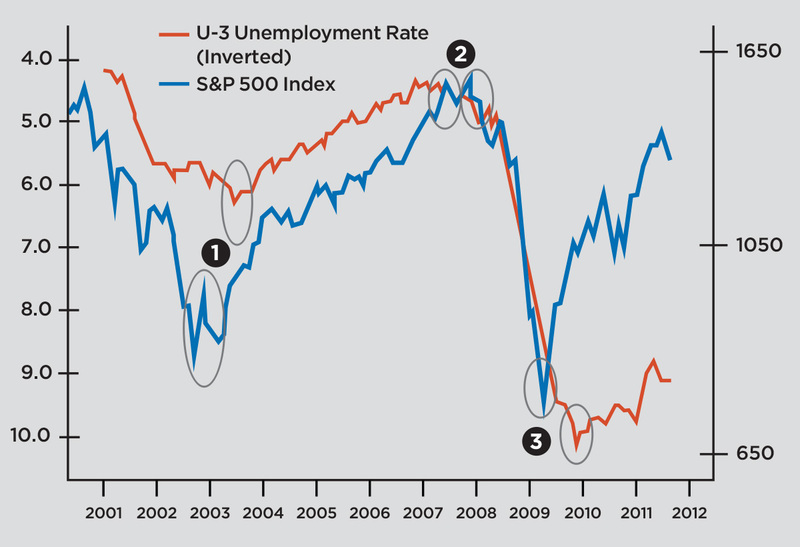 The U-3 unemployment rate (inverted) versus the S&P 500 Index. 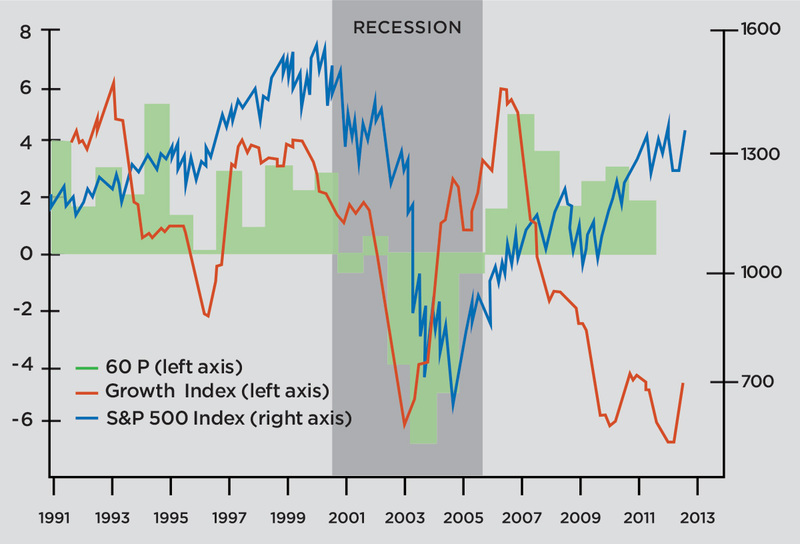 Unemployment lagged the SPX in the 2002–03 economic bottom by nine months (1), led slightly at the top in fall 2007 (2), and lagged the 2009 bottom in stocks by seven months (3). What this chart doesn’t show is that unemployment was revised up to a year (or more) later—data that was not available to market participants when they really needed it. For illustrative purposes only. Source: MetaStock.com, July 2011. 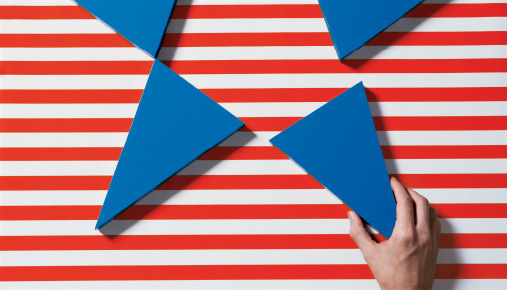 GDP is the dollar sum of the value of all goods and services produced in the U.S. It is calculated from data collected from a wide variety of sources by the Bureau of Economic Analysis and reported quarterly in the last week of the month following the reported quarter. Data is revised in the following months, with annual revisions occurring in July. So what you see at the time is generally not what is shown in historical data or charts. Similar to unemployment data, surprises have the potential to impact stock prices in the short term, but this data is of limited value to active investors due to revisions and the fact that GDP tends to lag stock prices. The Consumer Metrics Institute’s (CMI) 91-day “Trailing Quarter” Growth Index versus the Bureau of Economic Analysis's (BEA) Quarterly GDP Growth Rates and the S&P 500 over the past six years. For illustrative purposes only. Chart courtesy DShort.com. A number of housing-related data reports are published. Government-produced reports include the house price index (HPI). This quarterly report uses home sales price data from Fannie Mae and Freddie Mac-acquired mortgages by the Federal Housing Finance Agency (FHFA), formerly the Office of Federal Housing Enterprise Oversight (OFHEO). This is a lagging indicator published nearly two months after each quarter. It includes only homes with conventional mortgages within the conforming amount limits. The FHFA data is also subject to revisions, making it less useful for making investment or trading decisions. Housing data is also collected by the Census Bureau, called the Constant Quality House Price Index, but this index is based on a relatively small sample size of about 14,000 new and existing home transactions annually, according to the FHFA. Better known is the National Association of Realtors (NAR) existing home sales price index. There are two drawbacks to this index. First, the data is produced by the NAR, whose job is to promote the benefits of home ownership on behalf of its member realtors—which means it is prone to bias. Second, this data is also subject to revisions, making it less useful to stock market traders and investors. Next is the Case-Shiller Home Price Index, which is a value-weighted index employing purchase prices to calculate changing home prices monthly. Revisions are rare, and the data is valued by market participants—in part because the Case-Shiller Home Price Indices are futures and options derivatives traded on the Chicago Mercantile Exchange to manage U.S. housing risk. Indexes that track the new residential housing market include, but are not limited to, instruments such as the Philadelphia Housing Sector Index (HGX), which consists of companies that are primarily involved in new home construction, development, support, and sales. This allows market participants to track the health of the new home market. The U.S. Commerce Department also publishes new housing permit and start data monthly, which are two metrics that can help market participants measure the strength of the new housing market. Housing permits tend to lead housing starts by one to two months. But like many government-produced statistics, they are subject to revisions, making them less reliable for timing stock market entries and exits. The National Association of Home Builders Housing Market Index also tracks the new home market, but in a different way. 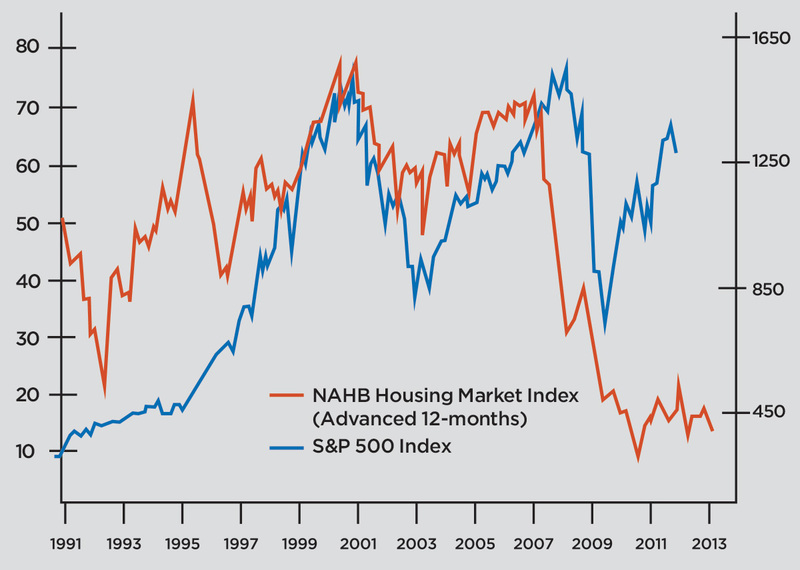 Each month the NAHB polls builders for their sentiment regarding the health and outlook for their industry. Revisions are rare. Undoubtedly, the most widely followed manufacturing index is the Purchasing Managers Index (PMI) published by the Institute of Supply Management (ISM), a non-governmental organization. It is a national index based on data compiled from purchasing and supply executives and covers a wide range of manufacturing businesses. A reading above 50 indicates an expanding economy; below 50 indicates economic contraction. It is published on the first business day of the following month. Revisions are rare. 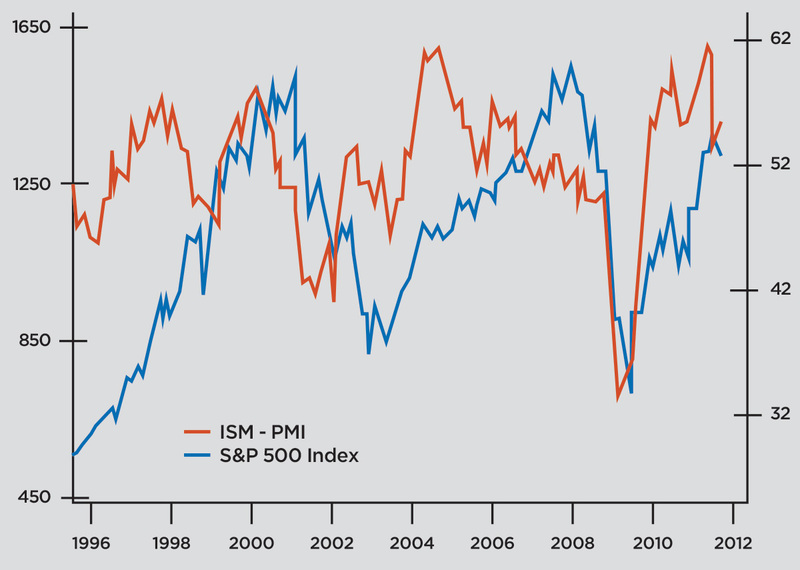 Although the relationship is not lockstep, the ISM PMI tends to lead stock prices, as Figure 4 shows. It also puts in a respectable showing as a stock trading indicator. Retail sales data is based on spending surveys collected from retailers across the nation by the U.S. Census Bureau. 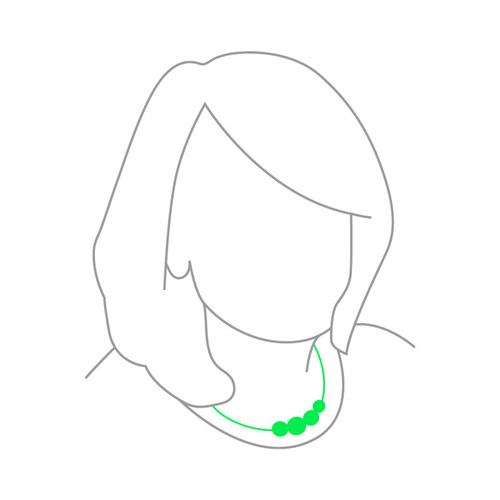 Revisions are published monthly, two weeks following the report month. Data are revised two months later, and final adjustments made every March, making this indicator of little value to stock investors except in the very short term. There are two widely followed consumer sentiment indexes, namely the Conference Board Consumer Confidence Index and the University of Michigan’s Consumer Sentiment Index. The University of Michigan index scored respectably in long-term testing as a trading tool, while the Conference Board indicator was not tested (as we’ll explain in the next section). Revisions for both indexes are rare. Surprises have the potential to impact stock prices in the short term. As you can see in Figure 2, the Consumer Metrics Institute Daily Growth Index has done a respectable job of anticipating changes to GDP, so although it may not be as helpful for timing the stock market, it is quite useful in anticipating economic growth. A new book titled Timing the Markets: Using Technical Analysis to Interpret Economic Data by Charles Kirkpatrick (due to be published in 2012 by FT Press) tests a number of these indicators plus a host of other economic and fundamental corporate indicators and compares them to a simple buy-and-hold strategy. Buy and sell signals are generated by a filtered moving average crossover system over a 500-month period between 1969 and 2010. Many indicators failed the robustness test—results between in-sample and out-of-sample tests were either unreliable or not enough historical data was available. Of the five discussed here, the ISM Purchasing Managers Index scored best, returning more than three times the returns of a buy-and-hold strategy that stayed in the market 81 % of the time. The University of Michigan Consumer Sentiment Index was the next best performing indicator, although it underperformed the buy-and-hold approach. Not surprisingly, unemployment and housing starts failed the robustness test. The NAHB HMI, GDP, and retail sales were not tested; there are not 50 years of data required to qualify for testing. So whether you’re a short-term trader seizing the moment or a long-term investor looking to time your entries for new holdings, you may (or may not) want to pay attention to some of the “big five” indicators described here. This certainly isn’t an exhaustive list by any means, but since these seem to make the biggest headlines of late, perhaps you can now decide if they’re useful to you or just noise.